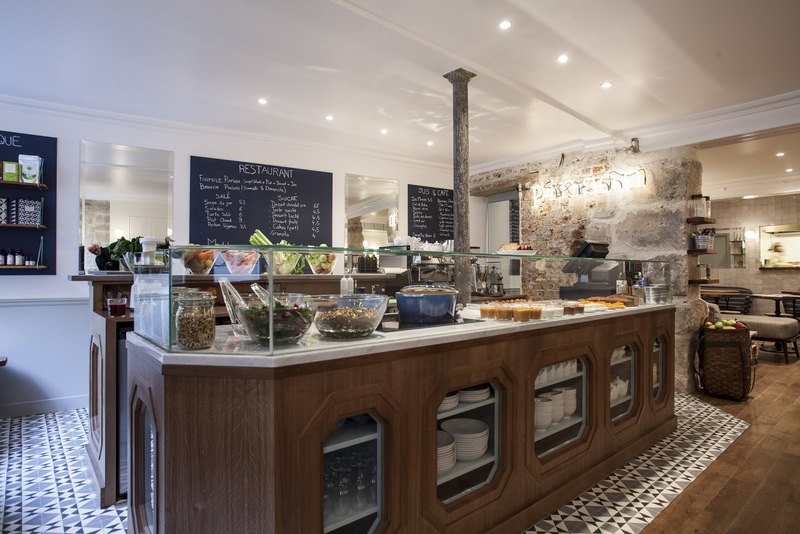 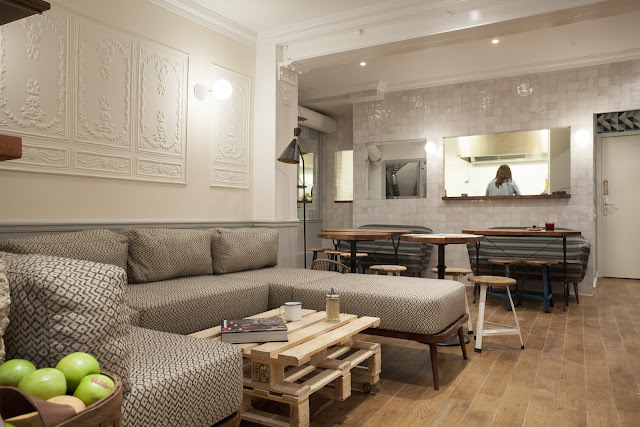 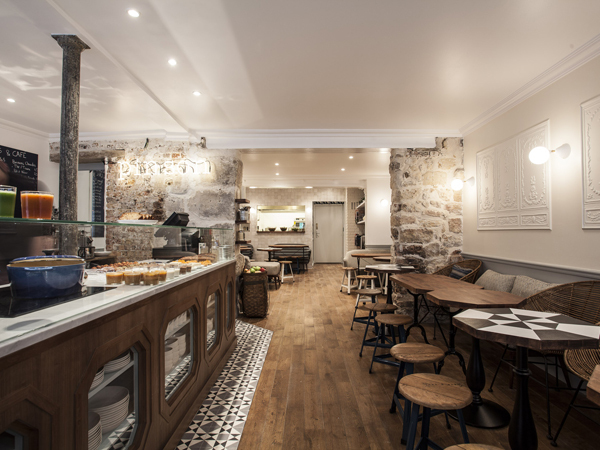 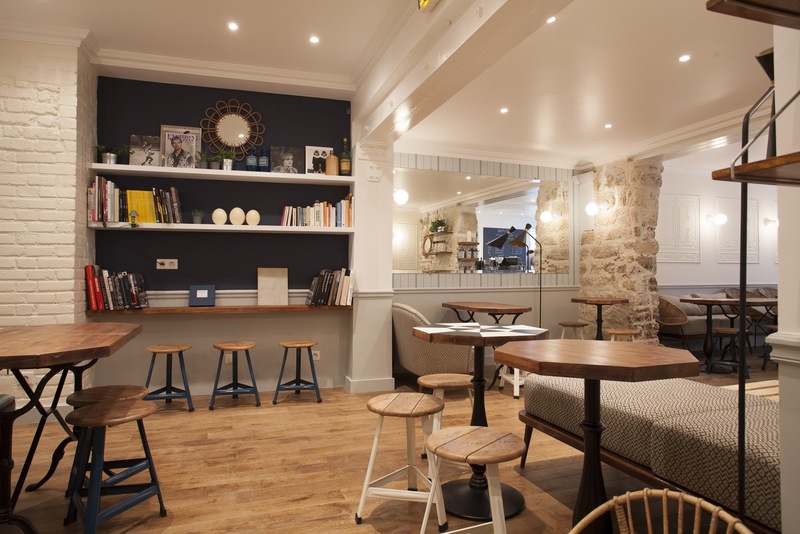 Translated as Café Finch, the newly opened Café Pinson is Marais' latest hotspot. Interior designer Dorothée Meilichzon has reflected the organic philosophy of the company with relaxed but stylish surroundings. 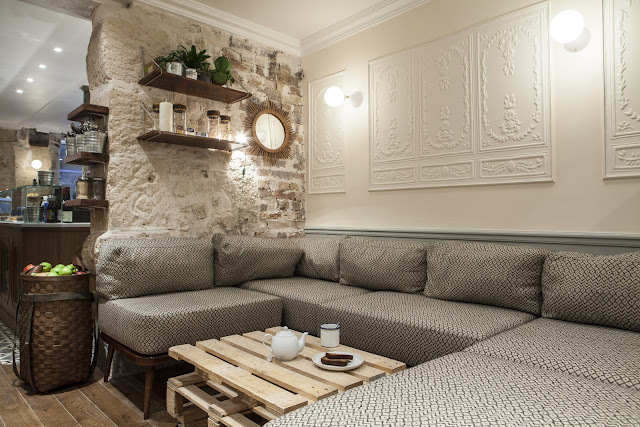 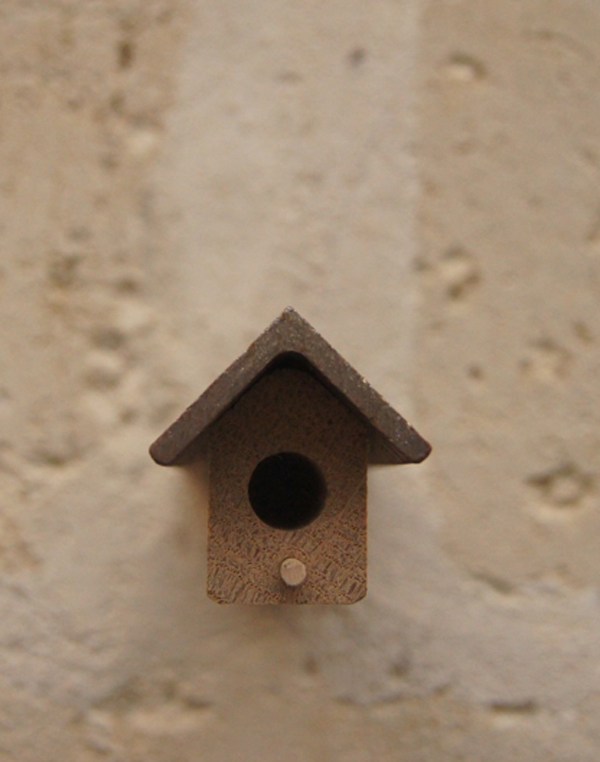 Bare brick, Parisian white panelling and geometric pattern combine to create a healthy eating haven while bird boxes of all shapes and sizes add an unusual finishing touch to the walls.